Every time we see something unusual and fun to plant and grow in a garden planters we have to share it with you. 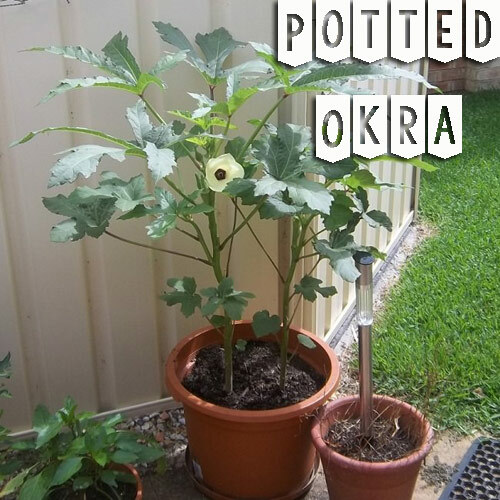 Today it's how to grow Okra in a flowerpot. It doesn't require a lot of space and is considered easy to grow and if you have ever eaten fried okra you will know why this is a great idea. 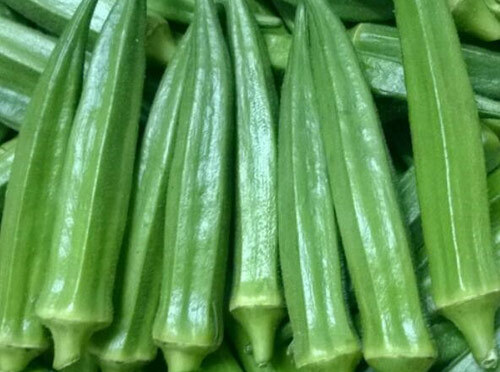 Okra in general is a warm season vegetable. It has delicate leaves and showy bloom that look beautiful. If you are growing for a decorative purpose or to eat they are easy to pot and place on a patio or porch area. When choosing a pot make sure of a couple of things. Don't go any smaller than a 12" deep pot. You want to make sure that there is room for the roots but not so over sized the plant is dwarfed. You can pretty much choose any material as long as the pot has a drain hole. These plants love heat so a dark poly resin or concrete planter is great but glazed or terracotta will both work. If you can't find a starter plant at the local nursery you will have to go with seeds. Ask for the dwarf variety so it doesn't grow over 5 feet tall. Plant on potting the seeds when the temperature stays above 60 degrees. Spring is the best time of year and the frost season has passed. Follow the seed packet instructions. Place the pot where it can get as much full sun as possible. Use a potting mix that is crumbly and rich in organic matter. 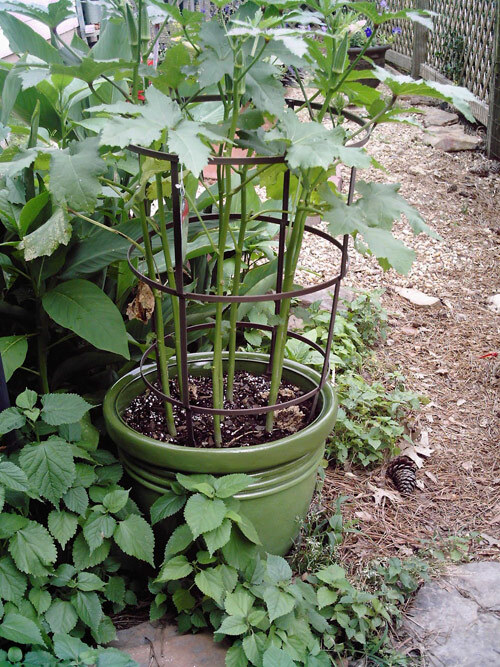 Water regularly cause potted okra likes moist soil. Fertilize on a reg basis with a low nitrogen fertilizer. Watch for pests and remove them if they show up. When it comes to harvesting, do it on a frequent basis. It blooms in approx 2 monts and fruit appears 5 days after flowering. Pods are harvested when still tender, otherwise they become to hard to eat. Look for them to be 3 to 5 inches in length. That's it. 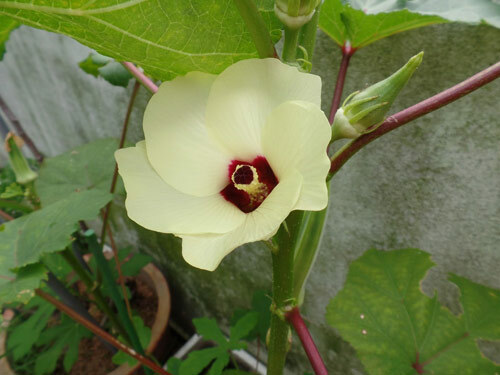 Have fun experimenting with unusual plants like Okra!